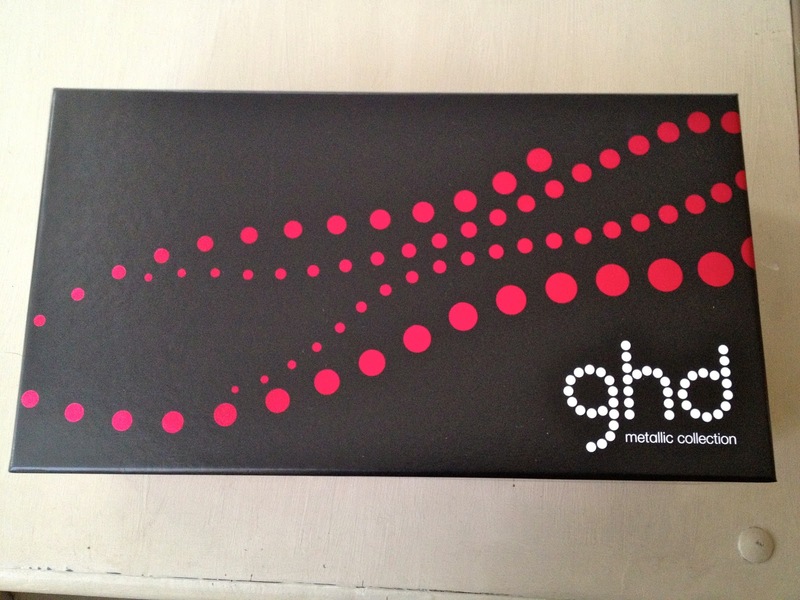 When I was given the opportunity to review some ghds I jumped at the chance! 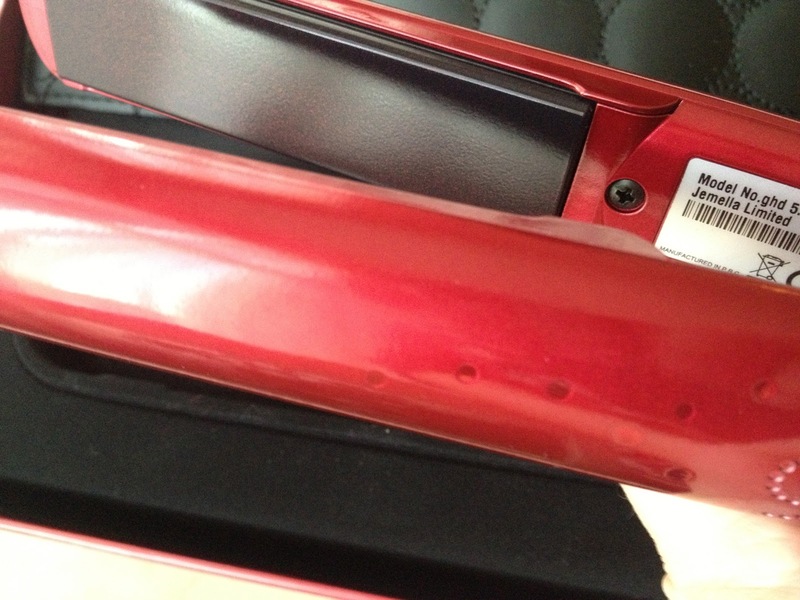 Lets be honest, ghd (stands for good hair day) hair straighteners need no introductions. I first remember hearing about these hair saving device about 10 years ago when I was at college. My hair had always been a frizzy mess – I would tirelessly blow dry my hair into a non frizzy sleek(ish) blow out, only to step outside and have my hard work instantly ruined. My then close friend was bought a pair (the bigger plate size) and I was addicted. I very quickly bought myself a pair of my own and they still work to this day. 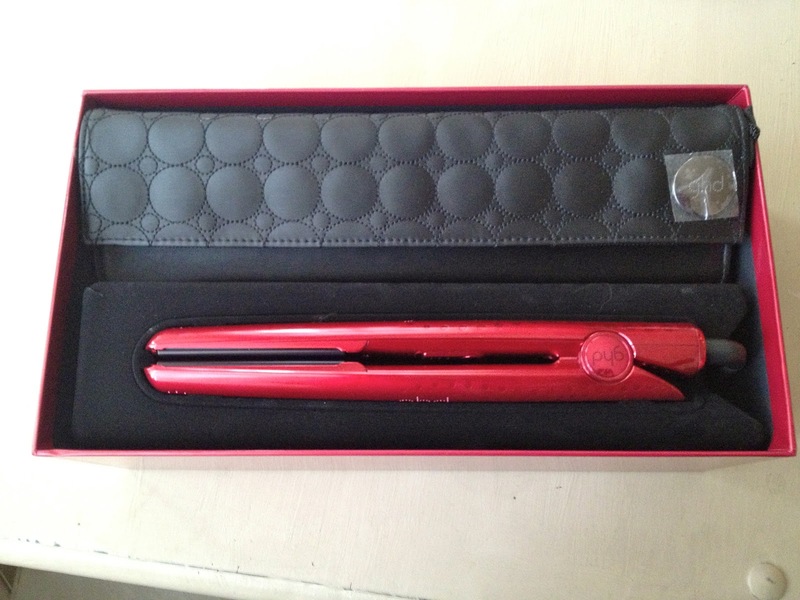 Despite this, I was not going to turn down the opportunity to get my hands on a pair of these beautiful limited edition metallic straighteners. The new limited addition metallic range comes in three colours; gold, silver and red. I like the little touches that make the range special, such as the ceramic plates having a red glitter in them (I’ve tried to capture this in my image, but failed). This range of glamourous gift sets feature the ghd V classic styler and a heat-resistant quilted storage case with heat mat. These stylers are suitable for all hair types and leaves your hair looking glossy. Now I’ve been a bit silly referring to them as straighteners, because these more aptly names stylers can also be used to achieve curls and waves (as demonstrated in the videos below). Not only do these ghds have a universal voltage, meaning you can take them everywhere with you, but they also have 2.7m swivel cable they and have an automatic sleep mode – so you don’t have to have a mini heart attack when you get to work and question whether you turned them off! Every ghd product comes with an amazing two year manufacturers guarantee. As I’m really conscious of hair healthy I feel it is my responsibility just to say that you should always protect your hair with a heat protection spray when heat styling your hair.